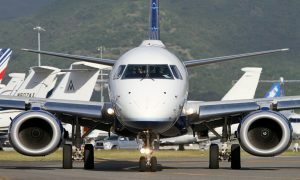 JetBlue and Cuba Travel Services today announced the start of their second weekly roundtrip charter flights between New York’s John F. Kennedy International Airport (JFK) and José Martí International Airport (HAV) in Havana. 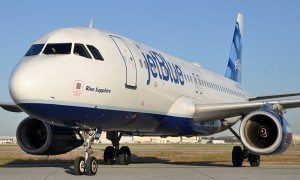 The added flights will operate on Tuesdays and become JetBlue’s sixth weekly roundtrip charter route between the U.S. and Cuba. In July, JetBlue became the first major airline to fly to Cuba from New York when it launched weekly flights on Fridays. Since government restrictions were eased earlier this year, JetBlue has doubled its number of charter flights to Cuba and has positioned itself as a leading airline to the island nation with its award-winning service. Once scheduled service is allowed, Cuba will play an important role in JetBlue’s growing network in Latin America and the Caribbean. JetBlue first began operating charters to Cuba in 2011 and now flies to Havana and Santa Clara from New York, Ft. Lauderdale, and Tampa. All flights are operated on 150-seat Airbus A320 aircraft.